When #Wikidata has really succeeded, it includes all the data of all the Wikipedias. The Sándor Bródy Prize is known on three Wikipedias and it is reasonable that the Hungarian Wikipedia has the most information. The last known winner, Gábor Kálmán, won the prize in 2012. Currently it is a red link. There is no information about who won in later years and my Hungarian is not enough to find out more if the prize was conferred. All this transpired from a recent idea that in order to improve the quality of Wikidata for awards, we should add all the winners of awards for 2015. Lydia suggested asking on Twitter for a query and both Magnus and Wikidatafacts provided a SPARQL query. For the Sándor Bródy Prize no winners were known, this was remedied with the "Linked Items" tool. As the objective was to only add the last winner, Mr Kálmán and the date for 2012 were added. There are some 13,881 awards known without a 2015 winner.. 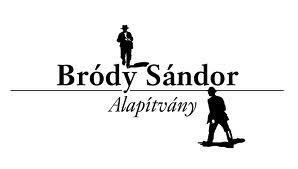 The objective for the Sándor Bródy Prize has not been achieved. However, the quality of the data has improved considerably. To make it as good as the information on the Hungarian Wikipedia, dates have to be added and two items have to be added to fill in for existing red links. The point of all this is that it is possible to quantify a lack of data in Wikidata and by inference a lack of quality. As time goes by, people can use these queries as a tool to make improvements or people will just add data and as a consequence the quality will improve. Either way it is obvious that it takes time and effort to get the desired quality. However on a micro level, it is possible for Wikidata to be better than any of the other projects because its data for a specific award is better. For the the Sándor Bródy Prize all it takes is two items and a few dates.